Only $4 per car gets you admission into this year's birthday celebration! Friends of President Polk's Birthplace receive free admission to this and similar events throughout the year. Only $5 per car gets you admission into this year's birthday celebration after our early-bird registration period! 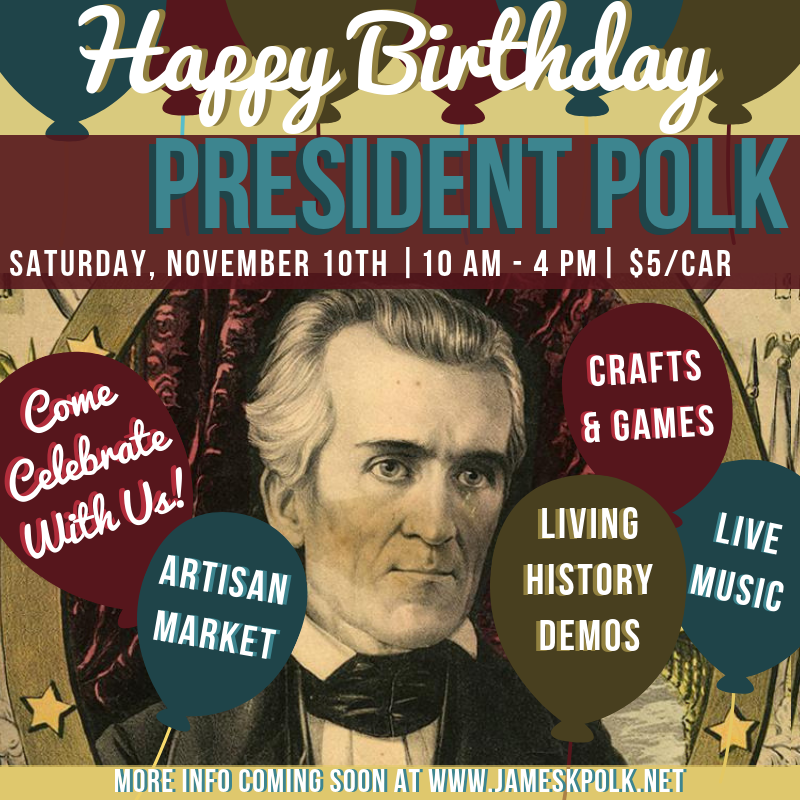 This 26th annual celebration of President James K. Polk’s birthday is one of our largest events throughout the year. This year’s event will be particularly special as we close out our 50th anniversary year of celebrations. Join us to see living history demos, live musical performances, crafts, games, and a mixture of modern and historical vendors selling all manner of delightful goods. All admission proceeds raised go to the Friends of the Polk Birthplace (www.jameskpolk.net) a non profit, 501 (c)(3) that supports the educational mission of the museum. Admission for non-members is $5 per car. Friends of the President Polk Birthplace receive free admission.